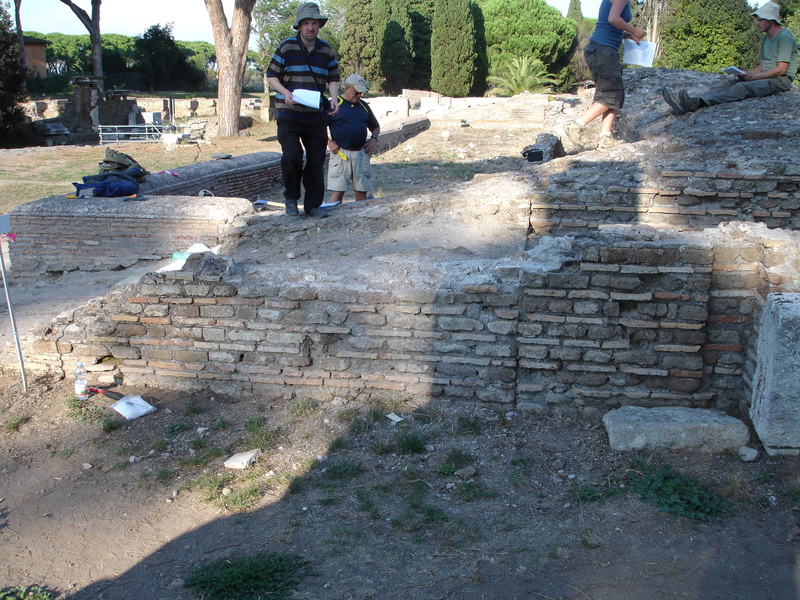 The excavations of the Nymphaeum in the Piazza della Vittoria have been progressing nicely. Here a small team led by Bob Harp have been recording a heavily restored late Roman fountain, in order to detect traces of its original decoration. Thankfully the large basin preserves not only traces of two phases of mortar lining, but also small parts of its marble decoration, which seems to be in cipollino marble. On the outside of the structure careful cleaning has revealed two layers of painted plaster, and also a level of white-washing, on top of the second phase. 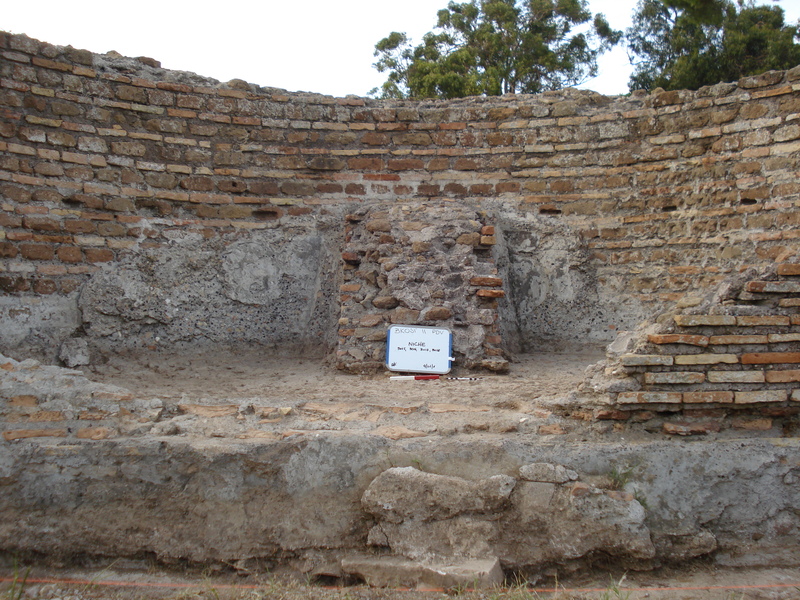 We have also seen this in the forum area, raising the possibility that the final phase of decoration of some monumental structures, after their marbles had been removed, was a simple lime paint, perhaps appropriate to the later years of the 5th c. A.D. Recording work by Elisabeth Blanning, Solinda Kamani, Aoife Fitzgerald and Anika Roder will be of great use in refining our understanding here. The small basin, which has largely escaped restoration is shown below.